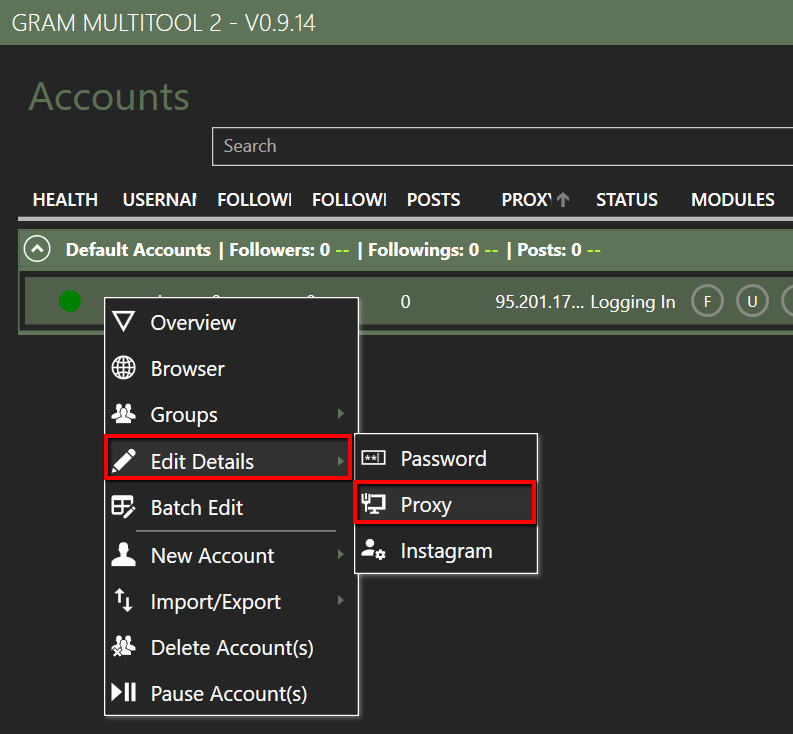 Open up Gram Multitool and right click relevant account to edit proxy. If you're creating new account - skip to next step, proxy is part of setup. (To create a new account right click anywhere). This can easily be adjusted by pinging relevant endpoint - in this example we used es.smartproxy.com to get IP. Insert IP and Port into proxy field as per example below. Proxy assignment completed, you can now use the tool to manage accounts.